*Disclaimer: I receive this wine as a sample from the PR firm associated with the brand. I’ve been in a Pinot Noir mood lately. 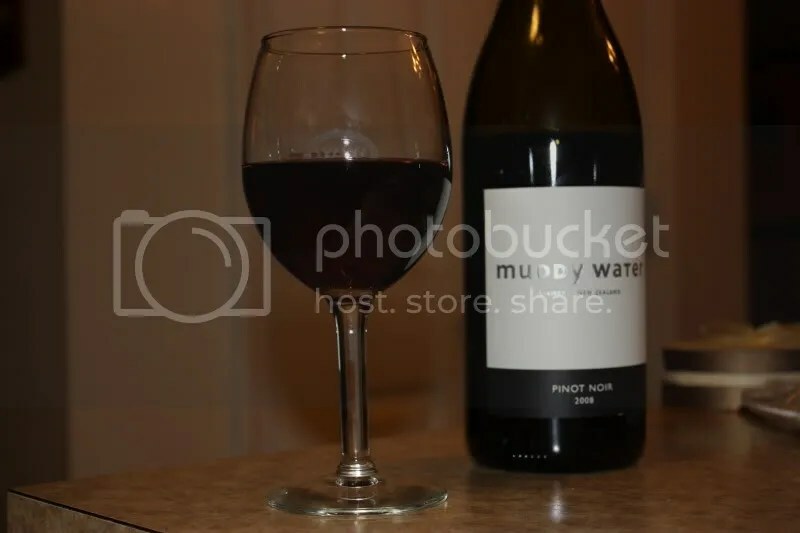 So I chose the 2008 Muddy Water Pinot Noir from the basement the other night. 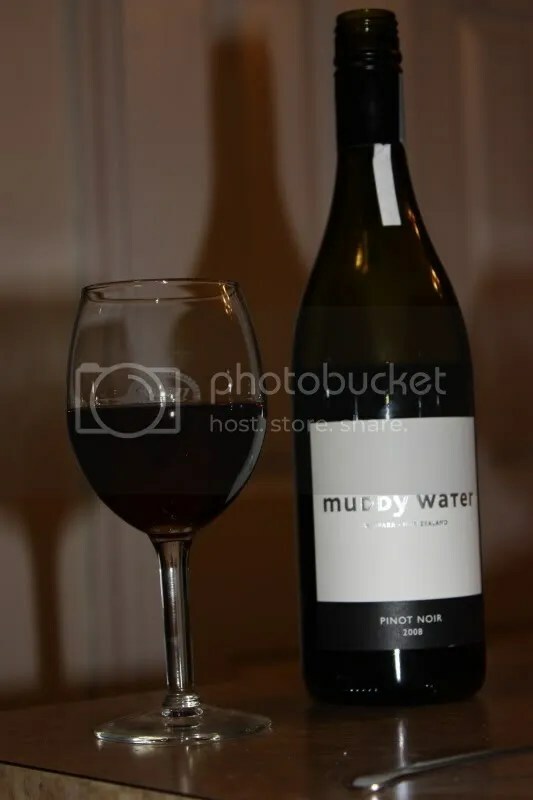 I’ve been interested in the Pinot Noirs coming out of New Zealand, and this wine proved to be an excellent example. It has a screw cap closure, clocks in at $13% alcohol by volume and I think retails for somewhere around $30. 1.) It’s really lovely all around. 2.) In fact, my notes say “lovely” at least 3 times. 3.) New Zealand has been producing some wonderful Pinot Noirs lately, this is certainly among them. 4.) Perfect on it’s own, but I think it would be quite nice with spring lamb dishes. On the nose I found herbs, spice, pepper, white pepper, raspberry, cherry, and dusty chocolate powder. In the mouth I got cherry, raspberry, herbs, spice, and a chocolate note. The wine has excellent body and acidity. I could drink this all night long.